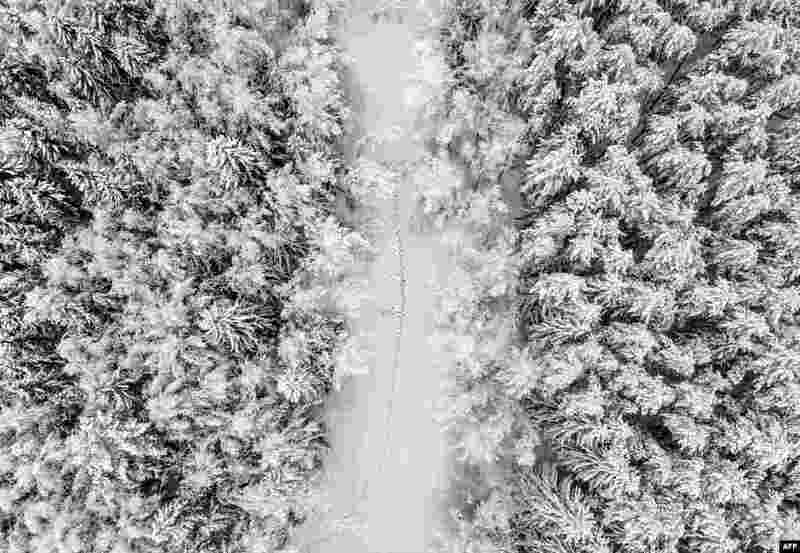 1 This overhead photo shows footprints along the ice on a frozen river in a forest during snowfall near the village of Troitskoye, outside of Moscow, Russia. 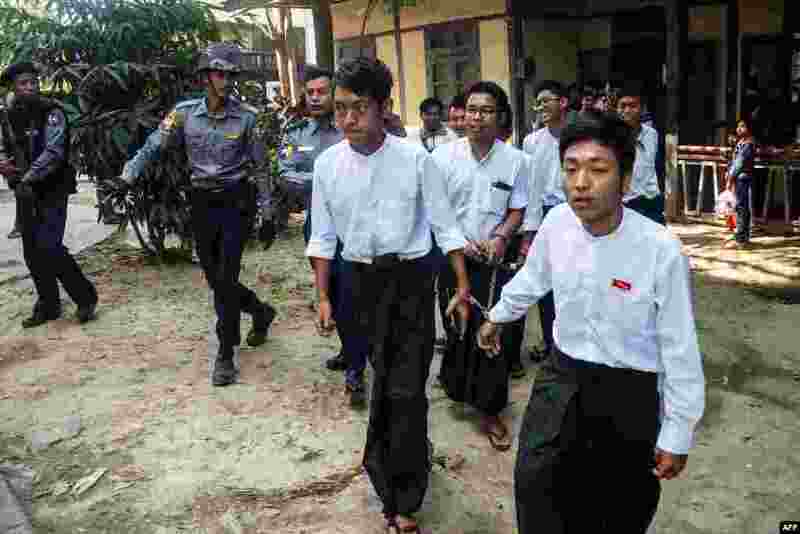 2 Students are escorted by police after a court hearing in Mandalay, Myanmar. Seven students were sentenced to three months in jail with hard labor for burning pictures of officials in protest over campus safety, a student activist said. 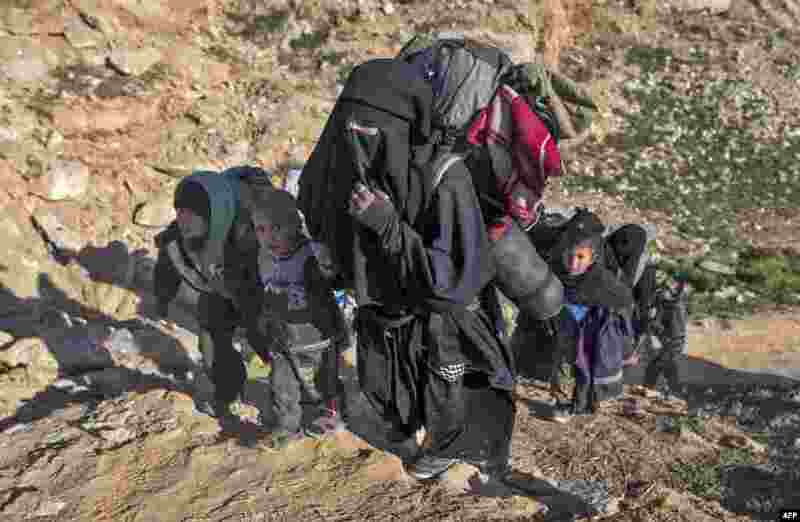 3 Civilians flee from the Baghuz area in the eastern Syrian province of Deir el-Zour during an operation by the U.S.-backed Syrian Democratic Forces (SDF) to expel hundreds of Islamic State jihadists from the area. 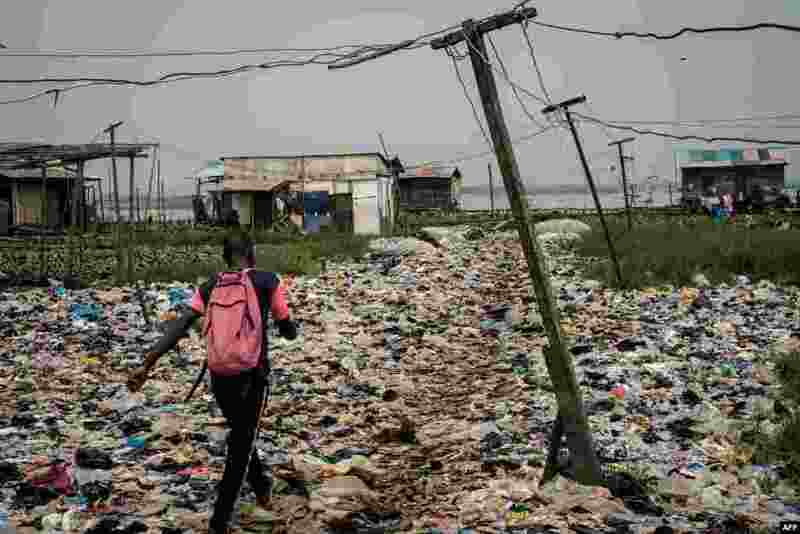 4 A man walks on plastic waste, used to reclaim a swamp so that the land can be developed for housing, in the Mosafejo area of Lagos, Nigeria, February 12, 2019.